Generally speaking, the European settlers in North America coined the phrase 'Indian' or 'Red Indian' to describe the North American tribes they found while they were settling what is now the USA. To the north of this vast collection of varying regions and climates were the native settlements of what is now Canada, while to the south were the various peoples of modern Mexico, most especially the Aztecs. The Mattaponi were located on the eastern seaboard in what is now the states of Delaware and Maryland (eastern section). They were neighboured by the Moraughtacund to the north, the Cuttawomens and Opiscopank to the east, the Pamunkey to the south, and the Youghtanund to the immediate west, with the larger Algonquian-speaking Nanticoke tribe hogging the Chesapeake coast beyond them. At its height the confederacy consisted of at least thirty-two tribes. First documented by Captain John Smith in 1607 (he of Pocahontas fame), the Mattaponi name is shown in a variety of ways in original records, including Mattapament, Mattapament, or Mattapoment. They lived along the banks of the river which today bears their name, and were one of the founding nations of the Powhatan confederacy. William Strachey gives a figure of 140 warriors for the tribe, estimating their total number at about 450 men, women, and children. Werowough is weroance of the Mattaponi and a renowned hunter, as are most of his tribe. The tribe has some of the most skilled trackers and, thanks to the abundant game that live in the environs, some of the best archers as well. Werowough himself is considered the best of all. James Fort is founded within the area of the British Colonies, the earliest part of the later Jamestown Colony (1609) on the river of the same name. 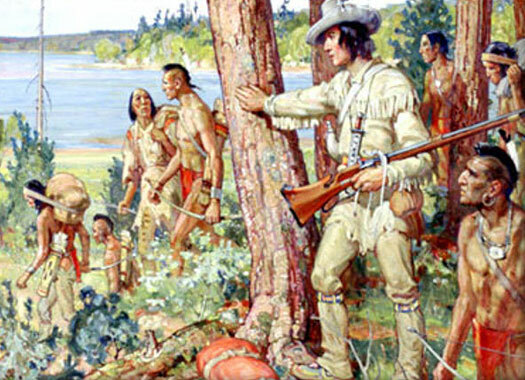 Captain John Smith encounters the Powhatan and catalogues the confederacy's many sub-tribes. He gives a count of Indian warriors as thirty Youghtanund, thirty Mattaponi, and three hundred Pamunkey. He says there are seven hundred under Opechancanough, brother of Wa-Hun-Sen-A-Cawh and weroance of the Pamunkey. 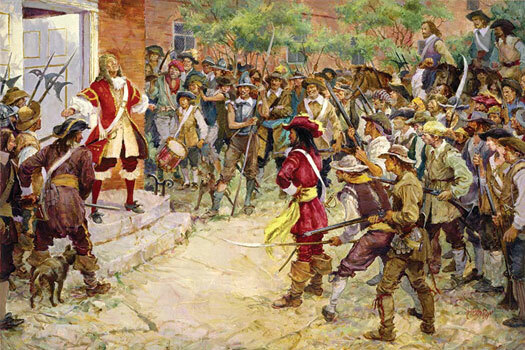 The Second Battle of Virginia - sometimes referred to as the start of a Third Anglo-Powhatan War - takes place in 1644, with the native Powhatan confederacy still under Opechancanough. This bookends the Second Anglo-Powhatan War (1622-1644). The result is that the English completely crush the Powhatan and take control of eastern Virginia. The Powhatan survivors leave Virginia, notably including the Mattaponi. They make their way to a new settlement in the highlands along the Piscataway Creek. 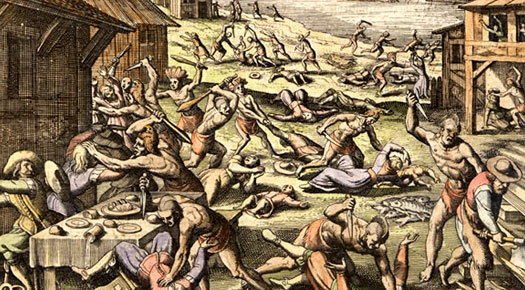 At the end of the war, the tribe slowly make their way back and, in 1646, along with other Powhatan, they sign their first treaty with the English. By the terms of this treaty, the Mattaponi would be designated as tributaries. 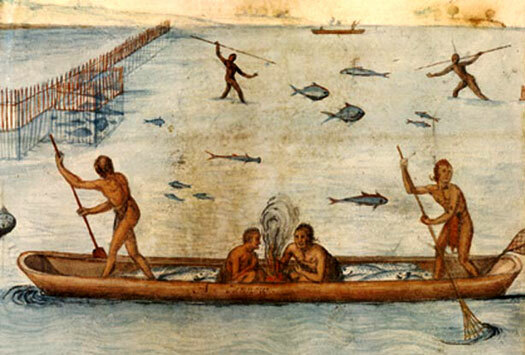 Reservations are allotted for a number of tribes, and in return a quantity of fish and game is demanded as annual tribute. Peace treaties are signed between the court of Rappahannock County, the county justices, and the king and chiefs of the Mattaponi. Tribal members are to be treated as being equal to Englishmen, and are to be accorded their due civil rights. Queen Cockacoeske of the Pamunkey signs the Middle Plantation Treaty, which brings the war to a close. By this treaty all of the tribes submit to the British Colonists, and are confirmed in their tribal lands, subject to an annual peppercorn rent of three arrows and a tribute of beaver skins. The signatory tribes do not include the Mattaponi. They, along with the Pamunkey, continue to provide the colony's successor - the state of Virginia - with annual tribute in accordance with the 1646 and 1677 treaties. The Mattaponi, Pamunkey, and Chickahominy tribes attend the Treaty Conference at Albany, New York. This is an attempt to end the wars between the Iroquois and the southern tribes. The Iroquois have invaded Virginia frequently, which usually involves the settlers, which in turn keeps the tribes in a constant state of alert and caution. Although the Mattaponi continue to occupy their reservation throughout the seventeenth and eighteenth centuries, incoming colonists continually make inroads into their territory. In the Piedmont, the tribes of the Sioux withdraw southwards, sometimes returning and then leaving again. Non-Indians pour freely into their territory. The Pamunkey join with the Mattaponi to be treated as one tribe. However, this does not last and the two tribes separate once more (in 1894). These two are now the only surviving tribes of the Powhatan confederacy. The Pamunkey had provided the nucleus of the confederacy at foundation, so it is fitting that they should now be the last [but one] tribe standing. The Mattaponi and the English select one James Adams and those Indians who are grouped around him as the official translators to act between the two groups. Adams and his group become known as the Upper Mattaponi. Their settlement in the nineteenth century is recorded as Adamstown. They gain separate recognition in 1921, the members being descendants of a group of Indians who live near Passaunkack during the 1700s. Many former member tribes of the Powhatan confederacy are extinct by 1722, having drifted away or merged with other remnant groups. The Rappahannock had already lost their reservation shortly after 1700, while the Chickahominy had lost theirs in 1718. These groups and the Nansemond fade from public view in the later USA. Only the Pamunkey, Mattaponi, and an Eastern Shore group keep reservations, although their land constantly shrinks in size. The state governor, Thomas Jefferson, notes that settlers are encroaching on Indian land. The Mattaponi have developed their own tribal government, completely separate from the Powhatan chiefdom, although the tribe is still nominally a member of the confederacy. The tribe continually have to defend themselves against the efforts of many who would deny their very existence as a tribe, and the attempts to wrest their property from them. In 1812 the local government attempts to take an acre of land from the Mattaponi for the building of a dam. This attempt fails. By 1820, some Mattaponi are living with the Cheroenhaka, although a substantial number still remain where they had been. The 'Gregory Petition' alleges that the Mattaponi and the Pamunkey are no longer Indians. This attempt to once more separate the two tribes from their lands also fails. It is reported that the two Indian groups which are living in King William County are indeed the Mattaponi and Pamunkey. 'Major Chief' of the Mattaponi. The Pamunkey Baptist Church is formed, where many Mattaponi attend. Three years later the Mattaponi tribe has its own tribal leadership and they submit a list of chiefs, headmen, and members to the governor. Ellston is the major chief of the tribe, with Austin Key and Robert Toopence included amongst his headmen. The Mattaponi and the Pamunkey are the last two tribes to represent the once-mighty Powhatan confederacy, but they are treated by the Commonwealth of Virginia as a single unit until 1894, when the Mattaponi formally separate from the Pamunkey-led Powhatan chiefdom. Five trustees are appointed to the Mattaponi. Both tribes are declared exempt from certain local and county taxes. The Upper Mattaponi tribe gain separate recognition in 1921. For the main body of Mattaponi, maintaining their culture and identity has proven difficult, despite their also gaining official recognition in this year. The Racial Integrity Act of 1924 bans interracial marriage in the state of Virginia, and many Mattaponi are reclassified as black in official records due to their ethnic origin. The Upper Mattaponi build the Indian River View Church, and next door is the Sharon Indian School, a one-room structure which had been built in 1917. This is replaced with an eight-room building in 1952. In the early days, the children of both tribes are educated together. The school closes in the 1960s with the end of official state racial segregation in public schools. The building is returned to the tribe's jurisdiction and use in 1987 and is subsequently used as a community centre.